We tend to think that the arguments we have with our partner are unique to “us”. But actually research shows that the same patterns play out over and over in everyone’s relationships – and WHAT you argue about isn’t nearly as important as HOW you argue (or fight or disagree). The drama in the relationship of so many couples revolves around a powerful struggle between partners that plays out over months, years and even decades. They find themselves totally stuck. My previous blog looked at six of the most common (and destructive) communication patterns that ALL OF US fall into. it’s important to recognise that the moves we make to get our needs met are completely understandable and valid. So are the moves our partner makes. Each person’s moves are equally valid within the background context of their relationship history and their own personal history. The moves we make deeply hurt and (perhaps unconsciously) frighten our partner. Likewise, their moves deeply hurt and frighten us. Both partners are equally hurt and frightened, though they might experience and respond to those feelings in very different ways. 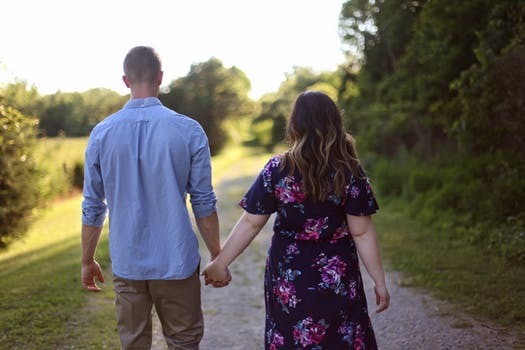 We make the moves we do, and we are so strongly impacted by our partner’s moves, because we are so very important to each other. 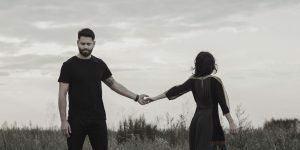 Ironically, when it seems we don’t matter, or aren’t cared for, when our partner seems distant or unavailable to us, or when our partner seems resentful or angry with us, it’s often because deep down our partner is feeling the disconnection as well. A classic form of help comes from switching from reacting to reflecting. When you’re having a conflict, before you disagree, try telling the person you’re speaking with what you heard them say. Research shows that when you’re in a disagreement, you’re generally capable of repeating what the other person said for only 10 seconds. After that, you go into your rebuttal or tune out. But it’s important to repeat what was said so they feel acknowledged. It’s also helpful to use a method developed by relationship scholar John Gottman and colleagues (see YouTube talk below) called an XYZ statement: When you do X in situation Y, I feel Z. So you’re not telling the person that’s what they are doing, you are telling them how you are feeling. You can argue with how a person defines you but not with how a person feels. This also helps defuse escalating fights because it forces you to slow down and think about what you’re trying to say, and then the other person has to repeat it. Suddenly, you’re not arguing anymore. You are holding on to your truth yet are able to acknowledge that there’s another person who has another interpretation of the same event. Couples Counselling: Are You Feeling Stuck?